Posted on September 7, 2016 at 3:05 pm. Queensland Annastacia Palaszczuk says no new casino has been locked in for the Gold Coast despite rumours to the contrary. 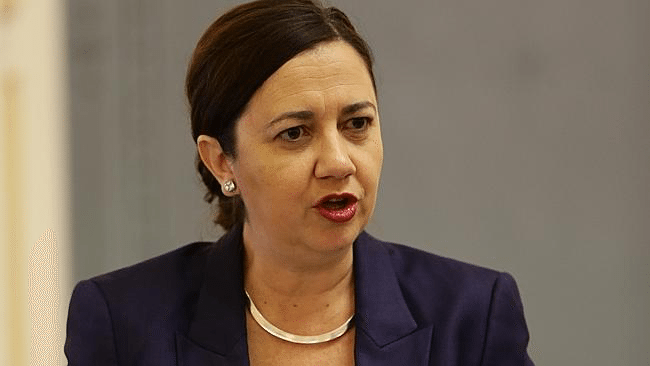 QUEENSLAND Premier Annastacia Palaszczuk has denied the Government has locked-in a deal which would see the development of a new multibillion-dollar casino at Main Beach on the Gold Coast. The announcement comes after reports flooded in over the weekend suggesting the contrary, igniting concerns from environmentalists opposing major developments in the area and causing debate as to whether a casino is in the best interests of the community. However, Palaszczuk stated on Monday that no deal had been struck and that she was yet to see a full proposal. “We need to see a detailed, formal proposal from ASF and I don’t want to make any comments until Government has had the due consideration to look at that,” Palaszczuk said. It had been touted the casino would be formed as a part of a game changing development for Australia’s glitter strip, with James Packer’s Crown Resorts set to operate the casino owned and developed by the Chinese-owned company ASF Consortium which would also add to the project by building residential and office space. However, ASF has since confirmed it had not signed a new deed of process on the project since the Government’s announcement last year that it would provide the land for the new resort. However, ASF’s former casino partner, GGAM, is no longer involved in the project, which would leave Packer as the likely operator. David Fang, the managing director of ASF, did confirm that the company had signed three deeds of process, the most recent of which was just over a year ago. If the development does go ahead, ASF and the Government are said to be considering constructing a bridge between The Spit and Southport to act as a solution for traffic congestion in the area, where numerous other large developments, including Sunland’s Mariner’s Cove, are also being planned. “The decision has not been made but it will be an integrated traffic solution,” Mr Fang said. The rumours surrounding the project come after the Department of State Development moved in July to appoint a transaction management company to co-ordinate and access the proposal. An evaluation is expected in early February, with a final draft development agreement set to be handed down by April. ASF have already submitted a plan to develop on a five-hectare site located between Sea World and the Fisherman’s Co-operative on the Gold Coast. State Development Minister Anthony Lynham said his department were still considering and assessing this “preliminary detailed proposal” from ASF. “No decision will be made about development without listening to the Gold Coast community,” he said. ASF previously had one of their proposals shot down by environmentalists and the State Government after it had wanted to build a cruise ship terminal and a casino/resort on the Southport Broadwater. ASF director Louis Chien said his company had not been disheartened by the previous rejection and that they will continue to push for a development on the Gold Coast. He said his company continued to believe in Queensland and the Gold Coast and believes the long road to establishing a new casino could pave the way for it to be something truly spectacular. Online casinos are a dime a dozen these days and don’t have the immense overheard and costs that new casino developments like the potential Main Beach project. Thankfully, we have the research for you to find the top-rated and highest quality real money casino sites offering hundreds of the best slots and table games along with safe deposit options and legitimate licensing. Users from United States are recommended to visit Raging Bull Casino and sign up to get an exclusive new player welcome bonus on us, including free cash and spins.